It is estimated that 10 million people in the United States have been diagnosed with diabetes mellitus, and there are many others not yet diagnosed. Diabetes is a complicated disorder that alters the metabolism of glucose, fats, and proteins, affecting many end organs and causing numerous clinical complications. It is part of the metabolic syndrome, a collection of conditions that predispose to cardiovascular disease. Treatment of diabetes is aimed at tightly regulating the blood glucose level through the use of insulin or other glucose-lowering drugs. Maintaining the level of serum glucose within a certain range is very important to the nervous system. The nerves in the central nervous system (CNS) receive glucose by diffusion. The presence of too much glucose, which is a large molecule, takes water into the CNS and can cause swelling and nerve instability. The presence of too little glucose results in less energy for the nerves to use to function and loss of cell membrane integrity. Maintaining the appropriate glucose level is a complicated process that involves diet, exercise, and drug management. At times, the blood glucose level is lowered too much, producing a state of hypoglycemia. When this occurs, glucose-elevating agents need to be used to quickly return the serum glucose levels to a normal level. 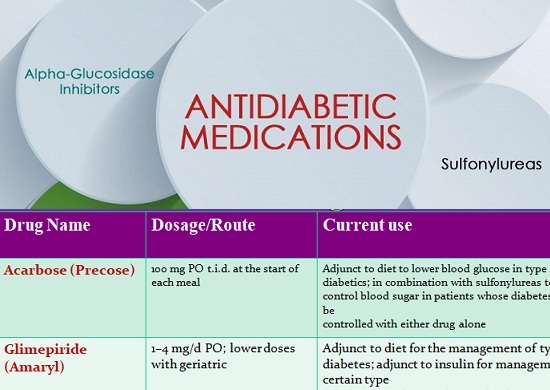 Considerations related to the use of insulin and other Antidiabetic agents based on age are highlighted in Box. • Oral Antidiabetics: anorexia, headache, heartburn, nausea, vomiting, and weakness. Hypoglycemia may follow excessive dosage, increased exercise, decreased food intake, or alcohol use. 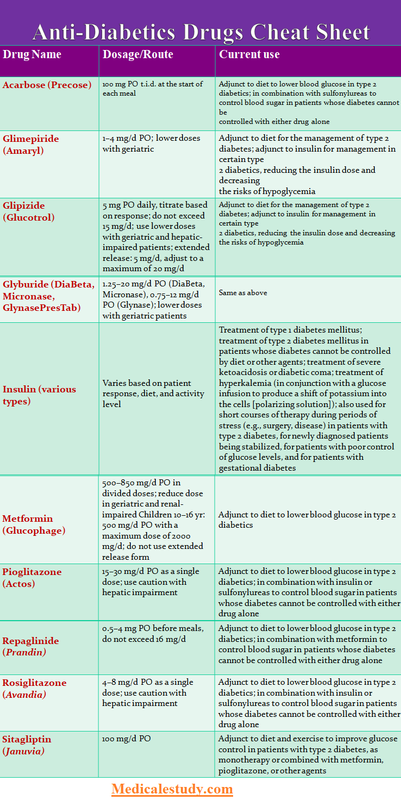 • Insulin: hypoglycemia, dry mouth, hypokalemia, increased cough, lipoatrophy, or anaphylaxis.